Let a local guide show you the rice terraces that are commonly referred to by Filipinos as the "Eighth Wonder of the World". A van will take you to several viewpoints enabling you to enjoy the green and stunning landscapes. You will be informed about the Ifugao culture that revolves around rice. Get to know the local feasts that are linked to agricultural rites from rice cultivation to rice consumption. Hear about the harvest season with the thanksgiving feasts & the harvest rites like tungo (the day of rest), the drinking of the bayah (rice beer), the eating of rice cakes, and the practice of chewing betel nut. Lunch will be eaten at a local eatery with a view on the terraces. Are you feeling energetic? Your guide will take you for a hike up (and down) the terraces. The Banaue Rice Terraces (Tagalog: Hagdan-hagdang Palayan ng Banawe) also called Payo, are 2000-year old terraces that were carved into the mountains by ancestors of the indigenous people. It is commonly thought that the terraces were built with minimal equipment, largely by hand. Locals to this day still plant rice and vegetables on the terraces, although more and more younger Ifugaos do not find farming appealing, often opting for the more lucrative hospitality industry generated by the Rice Terraces. 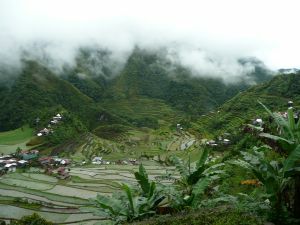 The terraces are found in the province of Ifugao and the Ifugao people have been its caretakers. As their source of life and art, the rice terraces have sustained and shaped the lives of the community members. Location: Banaue Rice Terraces, Ifugao Province, Philippines. Specifics about cost, in- & excluded: The fee depends on the number of participants, it includes the local guide, transport and lunch. 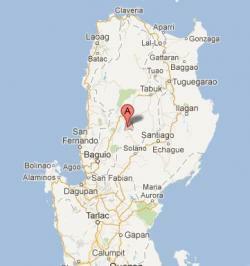 Mostly this tour is booked in combination with treeplanting in Nueva Vizkaya. Timeframe: 1 day, early morning to late at night. What to bring: a bottle of water, hiking shoes if you intend to climb the terraces, sunblock. JoHo is a global development organization with shops and websites, where people and organizations are encouraged and helped, in talent development and international cooperation. World Activity is a part of the World of JoHo.